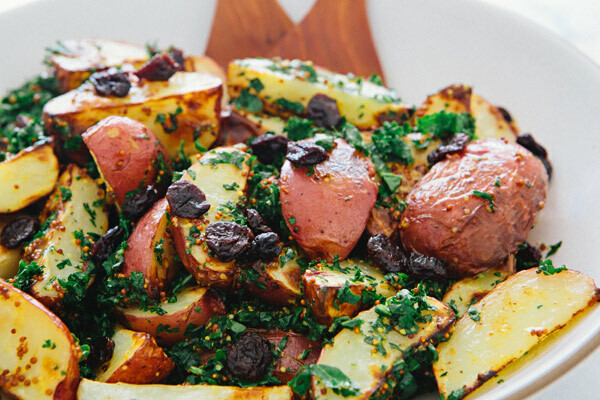 Thoroughly scrub potatoes, toss in enough olive oil to coat, sprinkle generously with sea salt and roast for 25-35 minutes, or until crispy and cooked through. Half way through cooking gently turn potatoes to prevent burning. In a small bowl combine mustard, olive oil, red wine vinegar, coconut nectar and mix well. Adjust sweetness and tangyness to taste by adding more sweetener and red wine vinegar until you love it! 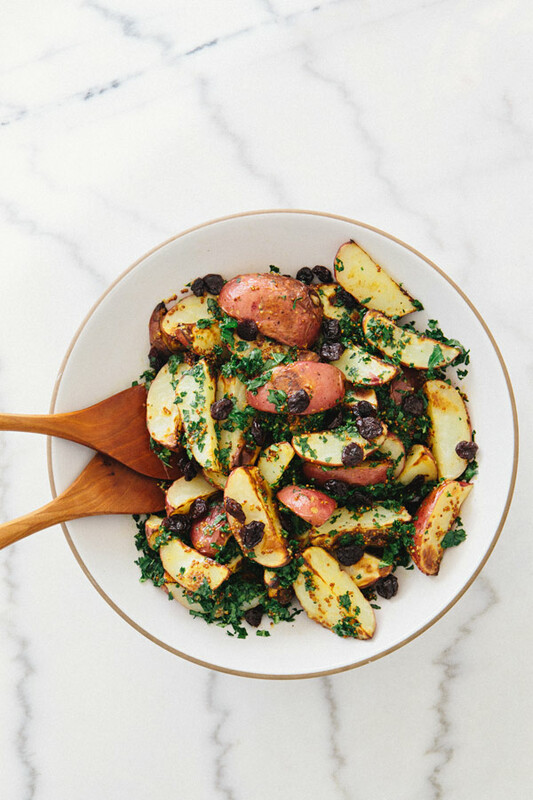 When potatoes have cooked, remove from over, place in a large serving bowl and allow to cool for five minutes. 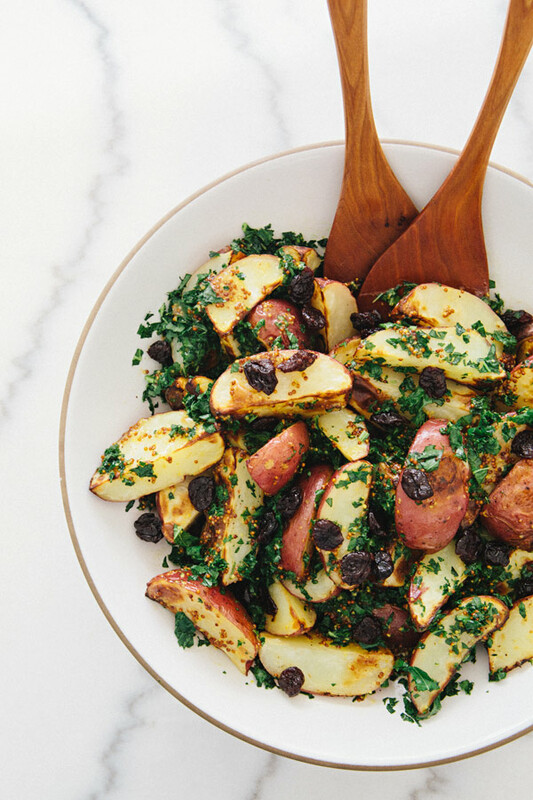 Add kale and dressing to potatoes, toss well. Top with dried tart cherries, sprinkle generously with Maldon salt, fresh cracked pepper and serve immediately! OMG! It LOOKS delicious – trust me!! I’m going to make this for sure!! Thanks for sharing and I LOVE your site. I think this looks SO GOOD!!!!! Just in case you needed confirmation… 🙂 I’ll definitely try this! No, way! I pinned this salad before I even read the ingredients – it looks (and sounds!) delicious! Thanks, Sarah! Who doesn’t love an easy, tasty salad? I think it looks beautiful and I’m loving the ingredient list!! The dressing for this makes my mouth water. And the dried cherries sound perfect with the kale. Will have to try this!! I feel the same way sometimes about look at a set of photos for just too long! 🙂 These do look really good btw. I’ll be adding it to my menu soon! Yum! I’m always looking for new ways to use kale (especially when it’s not the main ingredient because I don’t love its taste THAT much! 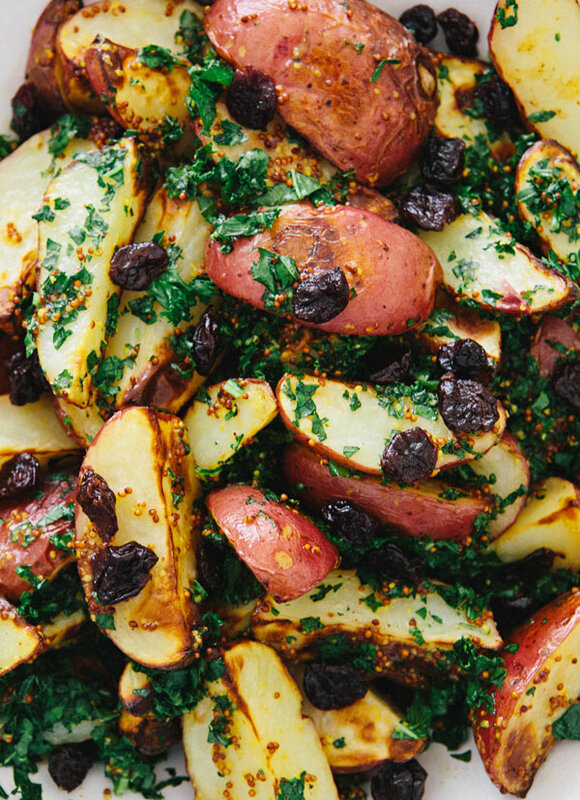 ), and I love roasted potatoes…so this is going on my to-cook list for this weekend. Thanks, Sarah! I made these tonight for a large group of people and we all loved them. It’s my new favorite recipe of 2016! And it was super easy! Thank you! I am in Australia and I am having trouble finding dried cherries what would you suggest as an alternative??? would dried currants be ok??? This looks amazing! Do you think this would work ok served next-day or does it really need to be fresh? Thanks!